This Abrasive Cutting Wheel, besides having a long shelf life, ensures precise cuts. 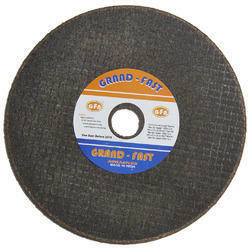 We are instrumental in manufacturing and exporting a qualitative array of Mounted Flap Flat Abrasive Wheels 7/8 , that is very uniquely designed by our expert professionals who have attained vast experience in the similar field. 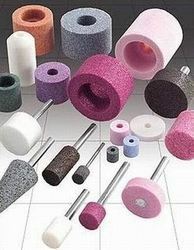 As the name suggests these are small grinding wheels mounted to steel shanks and are primarily used on portable hand grinding machine and clamped in position by means of a collet. They are ideal small tools both for coarse, heavy duty work and for superfine grinding work on precision parts.